GODAE OceanView and MEOPAR invite you to experience three exciting days in the world of operational oceanography. You will learn about recent advances in the field, and how ocean prediction systems have evolved. 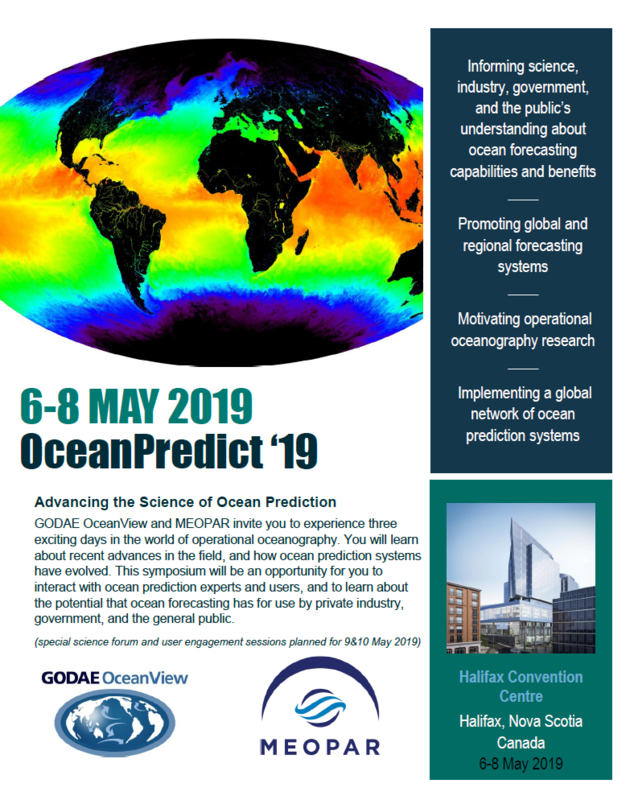 This symposium will be an opportunity for you to interact with ocean prediction experts and users, and to learn about the potential that ocean forecasting has for use by private industry, government, and the general public.